Jess and Clara grew up studying classical ballet at pre-professional studios in Columbus, Ohio and Minneapolis, Minnesota, respectively. Clara veered off the dance track at 18 when she went to Wellesley College to pursue academic interests. She joined the student dance group at Wellesley and had a great time expanding her emotional range in a variety of techniques. Jess majored in dance at SUNY Purchase with an eye to a professional career but soon found herself drawn to other interests as well; she transferred to Ohio State, where she minored in dance and became immersed in performance studies history and social work. Despite pursuing non-dance careers, both Jess and Clara remained firmly in love with the art form and grateful for its influence in their lives. They met in New York in 2010 and became instant “ballet buddies.” Over the years they have motivated one another to attend classes, booked private studio space together (just to let loose! ), made annual pilgrimage to Jacob’s Pillow, and seen too many performances to count. They have also had countless conversations about their undying need for dance as an emotional outlet and the difficulty of keeping up with class as one gets older. Jess and Clara love expanding their own discussions by bringing new voices and topics into the fold through PDD! 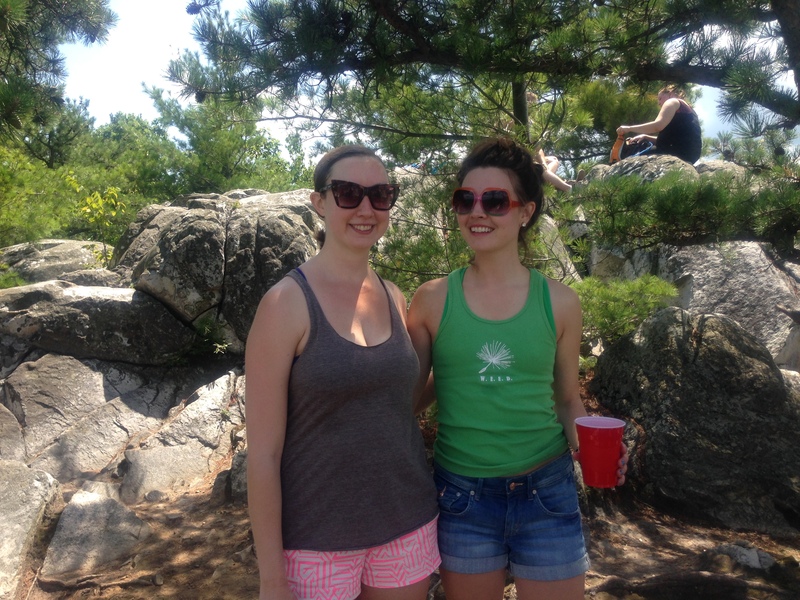 Jess (L) and Clara (R) on a mountaintop in the Berkshires – Pillow Trip 2014! Hi Martin, Thanks for posting. We don’t have any videos at the moment but we will consider creating a youtube channel soon to link videos with podcast episodes.